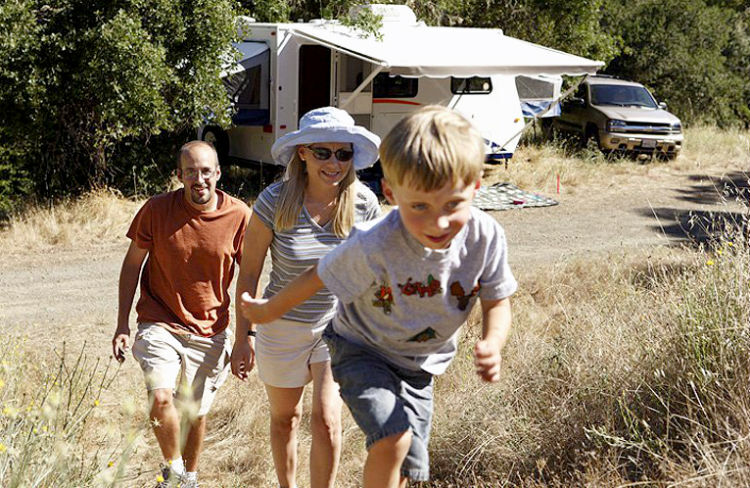 The annual family RV road trip can be an unforgettable bonding experience with the kids. Or it can be a total disaster. Organizing your family’s getaway is often stressful, but it doesn’t have to be. Right now you still have the gift of time to plan a fun vacation for everyone. Get started with your itinerary before it’s too late. Start planning now if you’re traveling with kids this summer. Image: RVIA.org. Will your family RV road trip be a disaster or a delight? If the family vacation planning process rests on your shoulders, take five minutes to check out these road trip tips. Our do’s and don’ts practically guarantee you’ll have the greatest RV vacation yet. The typical American vacation lasts just over four days, according to CBS News. In those precious 96 hours the typical vacationing family has little time to drive, explore and relax in many different areas. Don’t try to see too many destinations during your vacation. Spend more time exploring your base camp’s surrounding area. The American Southwest is a mind-blowing place to explore. But during summer, it’s one of the warmest places on the continent. Driving into a furnace like the Grand Canyon has all the makings of a family RV road trip disaster. Exploring in triple-digit heat is no fun for humans and it can be lethal for pets who get left behind at camp. Save the spectacular Southwest for spring and fall and beat the heat for your getaway. If you can’t get to any of these spots, just head for a high altitude campground near you. You might have lots of company but at least you’ll be cooler than you were at home. Whether you travel to Coast or the Rockies, campgrounds and resorts are packed with families in summer. That’s great if your kids want company. Empty nesters might see the chaos of kids running amok a little differently. 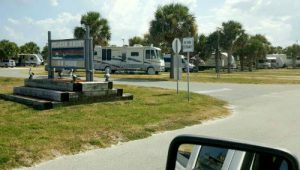 RV parks prominently featuring “resort” in their name usually offer organized family-oriented activities and busy amenities like swimming pools and mini-golf. 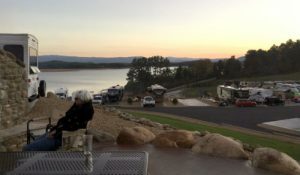 Developed US Forest Service and Bureau of Land Management campgrounds don’t offer anything but a picnic table and scenery. During summer, empty nesters have a 50/50 chance that families with bored school-age children will set up camp. Dry camping on public lands probably offers the best chance of getting away from summertime crowds. Flex your dry camping muscles and go off-grid to dispersed camping areas in high altitude locations for the ultimate summer escape. It’s tempting to just throw a dart at the map and drive somewhere for your annual family RV road trip. But a fiasco could be just around the corner if you do it during summer. A little advanced planning goes a long way to make sure that everyone from grandparents to toddlers will have a good time during that brief escape from your usual routine. Grand Canyon is a great place to visit in the summer. The south rim of the grand canyon is almost 7000 feet the north rim is over 8000 feet . It’s a long way from the desert. Please don’t warn people away from such a wonderful place to visit. Bill – can’t disagree that the weather at the south rim is great in the summer. What is NOT great is the fact that the park itself is SO crowded, pretty much all day. Add to this the majority of visitors (for the four days we were there) were non English-speaking, and with unfamiliar behaviors, e.g., pushing, crowding on to buses, obliviousness to others also trying to look over railings to see the vistas, and just generally what we consider rude. It was not a particularly enjoyable first visit for my wife (2nd for me). We’ve decided that we’ll try another, much later, date to try the south rim, and see about spending more time at the (supposedly) less popular north rim. Agreed! We were very comfortable camping and sight-seeing in the summer months. This summer 3 of my grandkids are flying to Washing ton D,C, We will spend a few days in DC and then head west stopping at Mount Rushmore and other places . We arrive in Boise in time for a family reunion. The kids are 16, 11 and 9. Special activities are planned for each child. This will our second trip with the kids, first on without their parents. Just remember that your trailer AC will only drop the outside temperature about 10-15 degrees especially if it’s not shaded. We saw the Grand Canyon and then met the grand kids in Zion. Then on to Bryce, Mesa Verde, Durango, Petrified Forest and then to Tucson in July. It hit 115 in Las Vegas on the way and we burned out the AC. Trust me, check the weather and avoid the heat if possible or go early in the year or in the fall. We’ve been to the Grand Canyon and numerous other “hot spots” in the winter…virtually no crowds, and if you catch it after a snowfall, the scenery is jaw dropping! Thanks for a great article with great common sense ideas to beat the Heat !